The Bushwick Film Festival loves independent film festivals! Especially those, like the Tribeca Film Festival, that take place in our very own city. #Tribeca2016 had its 15th edition last week, and we attended a number of panels, screenings and talks, which we shared with all the indie film lovers out there who follow us on Instagram and Facebook. If you missed the experience on social media, you can read a summary below of the films we liked and didn’t like, along with what inspired us. And remember to follow us on Twitter, Instagram and like us on Facebook so we can stay connected! Set in Brazil during the 80s, Califórnia follows a young girl between the time of her first period and her first sexual experience. Estela (Clara Gallo) is desperate to escape her life and embark on a trip with her uncle to California. But she is forced to explore her identity and desires while the looming AIDS epidemic of the era threatens her wishes. Califórnia follows most of the ingredients of a coming-of-age story, except that it is told from the feminine perspective. As director Marina Person noted at a Q&A following the last screening, this is an important difference. It’s hard not to enjoy this movie and even fall for some of the characters. Califórnia proves to be another example of how, no matter the language or setting, humanity has more universal stories than we’d like to admit. Live Cargo (directed by Logan Sandler) offers up a story I couldn’t invest myself in, and yet, I didn’t want to miss a single frame. Early into the film’s runtime, the opaque nature of its storytelling left my mind wandering, but – even without a plot I could attach my concerns to – it still undoubtedly made an impact. Most of the moviegoing public, myself included, probably hasn’t seen an abundance of digital black & white films. It’s possible some audiences have never even seen a single one. Let’s face it, B&W is not “in” and may never be again. What’s special about Live Cargois that it doesn’t look like the 120-year-old The Arrival of a Train, or even Raging Bull. Its textures vary from those films because new cinema in 2016 looks like the present, not the past. Anti-digital crusaders like Quentin Tarantino and Christopher Nolan will choose death before going digital, but their renouncement of a new era of films and filmmakers is no different than when your parents told your teenage self to turn down that loud and offensive punk rock record that you were really into. Live Cargo’s creative team embraces modern filmmaking techniques, and in the process delivers something that is different from all of the films your favorite auteurs made, but every bit as gorgeous. A few minutes before the screening, I was walking behind a man wearing a black sombrero and a plaid button-down. Given that we were in the Tribeca neighborhood, it was easy to recognize him as El Charro de Toluquilla. I had also been keeping up with the documentary ever since reading about it over at IndieWire, when it premiered at the Guadalajara Film Festival. 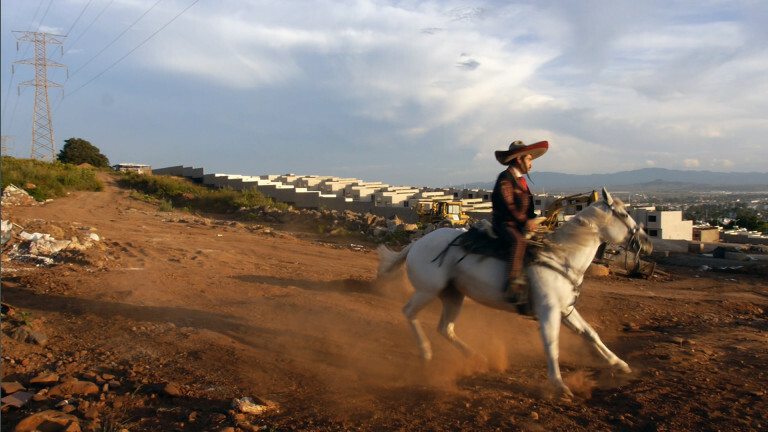 The Charro of Toluquilla provides a brief but intimate look at Jaime García, who embodies the image of traditional macho Mexican horsemen (charros), while living unapologetically as HIV-positive. In over three years of production, director Jose Villalobos Romero managed to integrate himself into the life of El Charro, who at a Q&A reassured the audience that his personality is authentic, no matter how over-the-top it might seem to be. (Sidenote: To everyone’s delight, he energetically ran up and down the theater aisles, handing over the microphone for questions). El Charro is hard to forget, and he doesn’t disappoint. The documentary portrays a refreshing and often laugh-out-loud funny take on a father-daughter relationship and the topic of marriage. It is the type of storytelling we need in a time when Mexican men are often portrayed as caricatures for political gain. Director Bart Freundlich, piled on more drama and surprises in Wolves than this moviegoer could handle. The film includes a degenerate gambler, an alcoholic, a pervert, a struggling author and a bad father – and that’s only Michael Shannon’s character. Newcomer Taylor John Smith excels on the screen as a high school basketball star at odds with his dad (Shannon), and navigating situations that no 18-year-old should have to be prepared for. Freundlich takes every coming-of-age archetype and pushes it to the extreme, throwing subtlety out the window, but by doing so, he fails to give proper care to such serious subject matter. A packed audience had the pleasure of catching Idina Menzel (Frozen) in a very different setting during a Tribeca Talk, moderated by producer and friend Marc Platt (Wicked). There wasn’t a person seated who didn’t love hearing about how, when she was younger, the world-renowned singer had actually believed that she would one day be able to star as one of the black leads in Dreamgirls. Ever since her parents brought her to a Broadway show in her pajamas, Menzel has been nothing less than enamored with singing and acting, in all its forms. Though her career is full of successes, she emphasized that there have been just as many lows, just as many rejections, as there were times when she felt acceptance for her work. Through it all, she has appreciated all of the moments in her career and, for the record, would be overjoyed to be CGI’d into the long-in-the-works Wicked movie (if it ever gets made). Menzel also runs A BroaderWay Foundation, a camp that fosters the creativity of underprivileged young girls and gives them the opportunity to dream big, just like she did when she was their age.